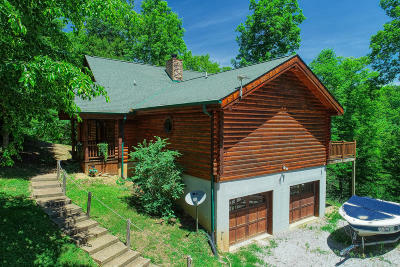 720 Red Cloud Lane Ten Mile, TN. | MLS# 1049366 | Fantastic Lake Front Properties in East Tennessee Take a Tour with Sail Away. Specializing in Lake Front Homes in Watts Bar, Ft Loudon Lake, Tellico Lake, Melton Hill Lake, and More. Gorgeous Tennessee Log Home on Deep Year Round Water. This home boasts a fabulous kitchen with custom cabinets and granite countertops. Large great room with vaulted ceilings and large windows. Master Bedroom on Main Level. This home has deep year round water on the dock and is ready to drop your boat in anytime of the year. Set up a showing now!! !